A woman Guinness World Records says is the shortest in the world made a visit to one of Manhattan's tallest buildings for the launch of the latest edition of the records book. 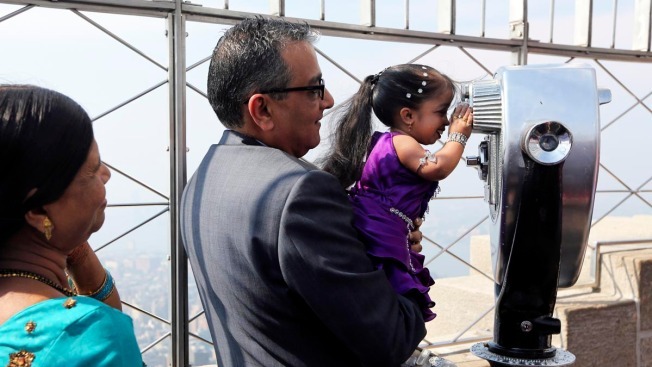 Jyoti Amge visited the 86th floor observation deck of the Empire State Building Thursday. The 19-year-old from Nagpur, India, measures at just over 2 feet, 1/2 inch tall. She's making her first visit to the United States. Through a translator, Amge said Guinness had given her the opportunity to travel the world and made her "very popular and very famous." Her trip to New York also included a visit to Times Square and the Statue of Liberty.